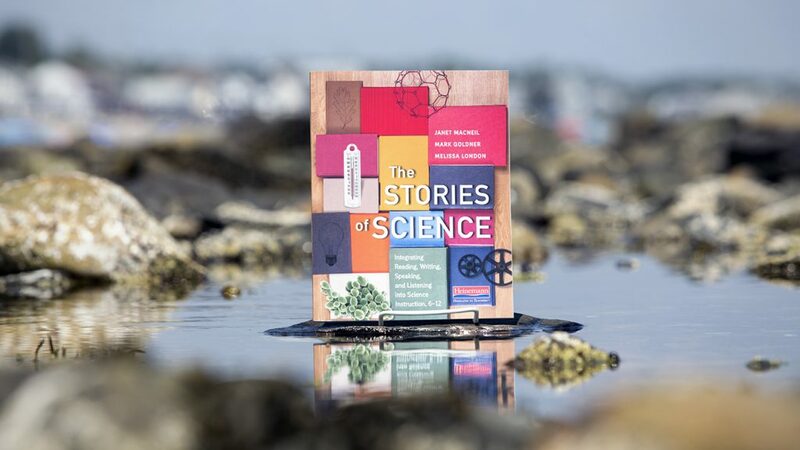 Science stories can be compelling vehicles for connecting people to information. 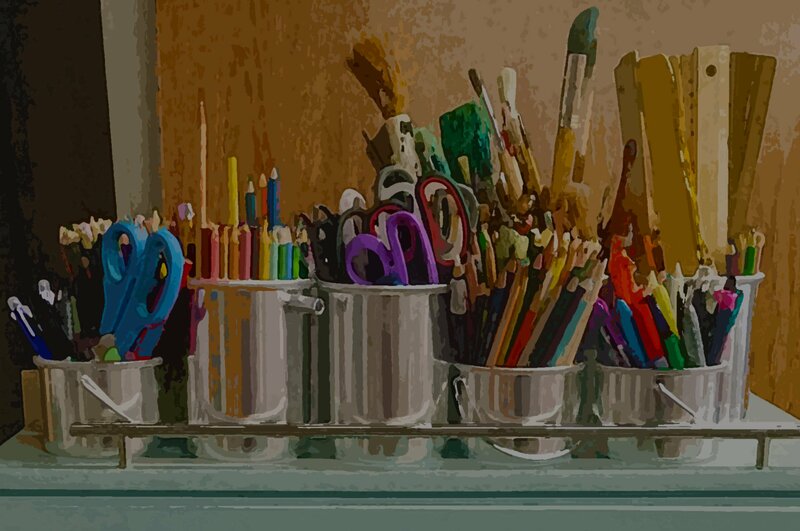 When we create overarching story lines for instruction (within a unit, throughout a year of study, or over several years), students are more likely to remember what we teach. Information is more likely to stick because stories are the basic organizing principle for memory. Also, students can begin to see the big ideas of science and how they connect across disciplines. Finally, the story lines give students a coherent framework to hang their learning on. We like to frame science instruction for each grade level not in terms of the topics, but in terms of the title, if you will, for that year’s story line. For instance, in grade 8, we use the title “Spaceship Earth”—the story of Earth’s place in the solar system and the interactions between all the players (astronomy), the forces behind those interactions (physics), and what everything in the universe is made of (chemistry). The cross-cutting concept for this year of study is systems. At the beginning of the year, we typically share the year’s science story outline with students so they can begin to think about the context for their learning. We do this verbally and often visually (with a colorful chart hung in the classroom outlining the “road map” for the year). Throughout the year, we refer to where we are on the road map and point out repeatedly how what students are learning about fits into the story. For example, “Why are we learning about diffusion? Diffusion is the process that allows molecules (like food and waste) to move in and out of the body’s cells, so it’s critical to all living things and is part of what it means to be alive.” At the end of the year, we like to have students create their own visual representations showing their interpretations of what they learned and how it all fits together. In essence, they are creating informational stories of their learning. If they add how their thinking has changed, the stories could be both informational and personal. An example of a story line that we use for a specific unit (the central nervous system) begins with the idea of body systems (What are they and why are they so different in various animals? Why did these different body systems evolve? How are they different from human body systems?). This leads to a study of human body systems, and then we embark on a detailed study of the central nervous system (the control center for all of the body systems)—the parts, what they do, and how they all work together—relating this all to the students themselves (What’s happening in your body and nervous system when you’re frightened? Nervous?). Finally, students research substances that affect the health and function of the brain (drugs, alcohol, etc.). Janet MacNeil is the coauthor of The Stories of Science: Integrating Reading, Writing, Speaking and Listening into Science Instruction. She has extensive experience developing science and engineering curriculum, as well as providing hands-on professional learning for teachers. Her focus is getting teachers and students excited about science and literacy. Mark Goldner is the coauthor of The Stories of Science: Integrating Reading, Writing, Speaking and Listening into Science Instruction. He has taught project-based middle and high school science for more than 25 years, with a focus on integrating science and literacy. He has a special interest in bringing polar and climate research into the classroom. Melissa London is the coauthor of The Stories of Science: Integrating Reading, Writing, Speaking and Listening into Science Instruction. She has more than 20 years of experience as a classroom teacher, where she leverages her love of language and science to engage all learners with high-interest, high-impact lessons.